Acknowledging the historically high murder rate in Chicago this month, Chicago Mayor Rahm Emanuel on Tuesday told “Chicago Tonight” that he is planning a major address in mid-September to deal with violence. August has seen more than 400 people shot and at least 78 homicides, making it the deadliest month in for gun violence the city has seen in 20 years. The mayor hinted at a Ferguson effect, where police are more reticent to aggressively go after criminals for fear of a negative community reaction or being caught on camera. It's a markedly different tone from the mayor than back in December, when he strongly decried a code of silence within the police department, angering rank-and-file members and the police union. Emanuel says he wants police to be part of the discussion when he gives his September address, and says it's time to stop demonizing police. Aug. 29: Just who will police the police? New details emerge on a proposal to replace the embattled Independent Police Review Authority with a new agency. Aug. 18: Police Superintendent Eddie Johnson moves to fire seven police officers who, according to a report, were complicit in covering up the police shooting of Laquan McDonald. Aug. 24: Without a new contract agreement with CPS, Chicago teachers are looking at their second work stoppage this year. 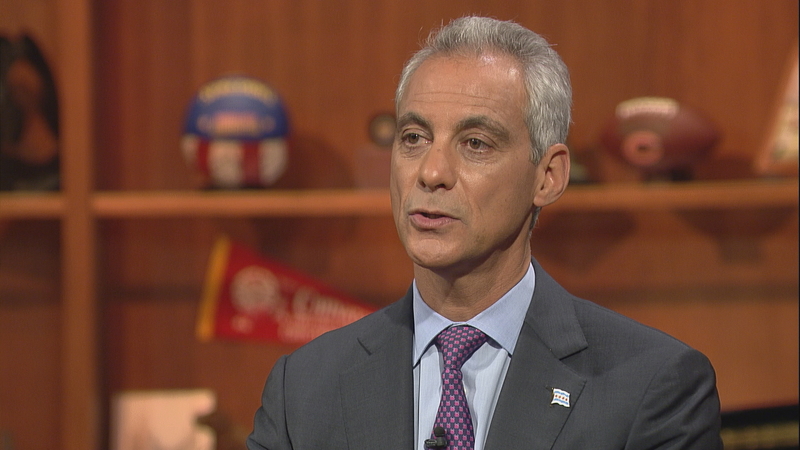 June 7: “Illinois must meet its primary function” of funding education, Mayor Rahm Emanuel said during an interview with Paris Schutz. Hear the full conversation.